What do you call yourself? A writer or author? I call myself a writer and an aspiring author. As I don’t believe I am an author until my work is actually published. When my booke are brought in print or electronically and on library shelves. Even though I’m currently writing a story on wattpad and writing this blog! Until I get a book in print or sold online I cannot call myself an author. 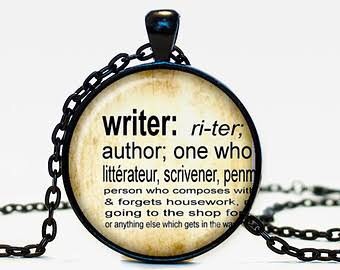 Writer: a person who has written something or who writes in a particular way. The other day I had an acquatance tell me that she loved my writing and would buy my books. I was taken aback because the story I’m writing on wattpad is a very short story, 12 chapters and a first draft. So to me the work is ordinary not amazing as she was saying! Planning on sharing my wattpad experience in a future blogpost. I did suddenly feel like maybe I am a good writer! We all have doubts and I’ve set my goals in becoming a published author in the next few years. But I’ve set my expectations low. I know it may take time, so I’m being realistic I believe. I was happy that they could connect with the characters, picture my scenes and yearning for more. It was a boost to my ego. I then realised though that an editor at a publishing house needs to love it. Will they? I don’t think they would see it as amazing! Last year when I submitted my first manuscript and it got rejected I got a polite no thanks. Then when I asked for feedback it came back! It was heartbreaking, but constructive and the editor was honest in areas I needed to improve. This helped to build up my resilience in a tough industry where all of us writers are dreaming of becoming authors. “It takes quite a few submissions and rejections before you are published” established authors tell us. What’s your thoughts on the subject? Comment below! Been a little slack this week with not posting since last Saturday! I have had a very unproductive week with my work and writing due to my daughter getting sick and then me catching her illness. I wanted to share with you all a fantastic book I haven’t been able to put down. 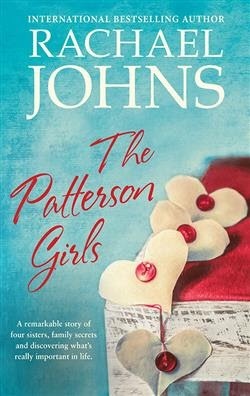 ‘The Patterson Girls’ by Rachael Johns. This book isn’t one of her usual hot and steamy romances. It is about four sisters that return home for Christmas six months after the death of their mother. They then find out about a family curse which causes chaos in each of their life’s in a different way. Each sister is very different and have secrets of their own that unravel throughout the story. I could not put this book down and purchased it for a friend for her birthday. I only buy books for others I have read and loved. I loved each character for each of their different qualities. But my favourite was Abigail, the musician living in London as a violinist. I loved her innocence and it reminded me that life is like a roller coaster, not boring. I could also relate to Madeline, the obstetrician as being a career woman myself. I related to Lucinda as a married woman and Charlie reminded me of when I was in my early twenties. Each character I connected with and loved. I didn’t want the story to end! I would highly recommend you check it out! Here is a harlequin link where you can read a sample chapter and read the full blurb about the book! 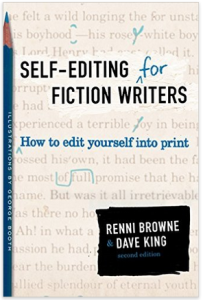 I brought the book ‘Self-editing for fiction writers’ by Renni Browne and Dave King after a published author told me it was the best book to help you self-edit your manuscript. I saw on Rachelle Gardners website a great post in should you hire a freelance editor! It reminded me of this book that I found very helpful! She lists 5 Things to Do Before Hiring a Freelance Editor. See link below! Great post!